From 1963 to 1974, muscle cars were the kings of the road--no other American automobiles have ever inspired as much passion as these classic performance cars. 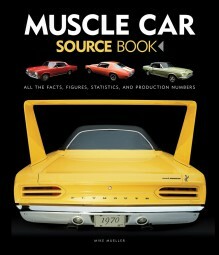 This book is a one-stop resource for muscle car fans. 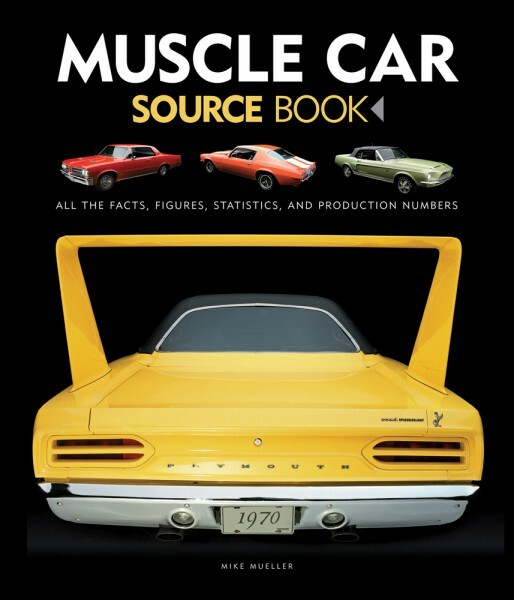 Heavily illustrated with vivid color photography of all the muscle cars from the classic era (1963-1974) and chock full of data and historical facts, this is a reference book you will not want to put down! All of the manufacturers - Ford, Chevrolet, Pontiac, Buick, AMC, Dodge, and Plymouth - are covered, and so are the cars, including the Camaro, Mustang, Charger, GTO, and many more! Statistics: All the performance data available for each car is presented in easily read tables. Specifications: Detailed specifications, including horsepower and torque ratings, curb weight, fuel capacity, stock wheel and tire sizes, and other key technical data unique to each model is given. Production numbers: Production information is broken down across all the performance variants and major features. Options: Major performance options available for each car including engine options, comfort features, gauge packages, and wheel-and-tire options are all outlined.